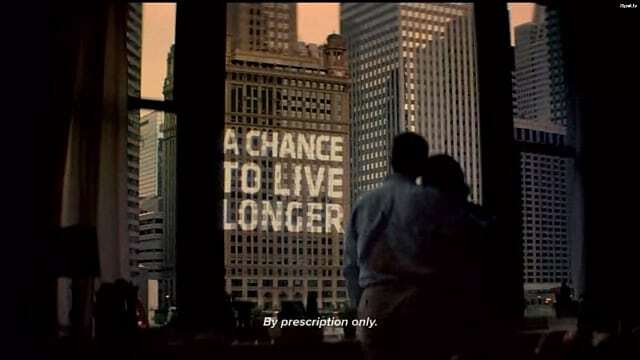 Where are the TV ads to “educate” patients about the negative Opdivo lung cancer trial? Harold DeMonaco is a visiting scientist at the MIT Sloan School of Management and a long-time contributor to HealthNewsReview.org. He has formerly served as the Director of the Innovation Support Center, the Director of Drug Therapy Management and the Director of Pharmacy as well as Chair of the Human Research Committee at the Massachusetts General Hospital. 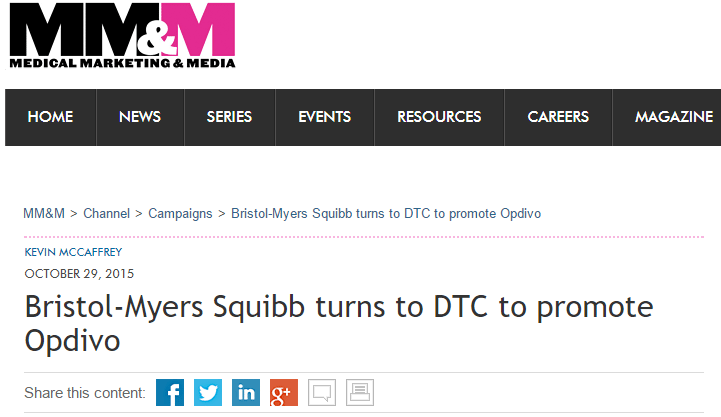 Back in December 2015, Dr. Michael Wilkes wrote a rather thought-provoking blog post on the introduction of an advertising blitz for Bristol Myers Squibb’s (BMS) immunotherapy drug Opdivo. He highlighted the distinct differences between the message delivered by the spot (“A CHANCE TO LIVE LONGER”) and the reality of the clinical trial data. 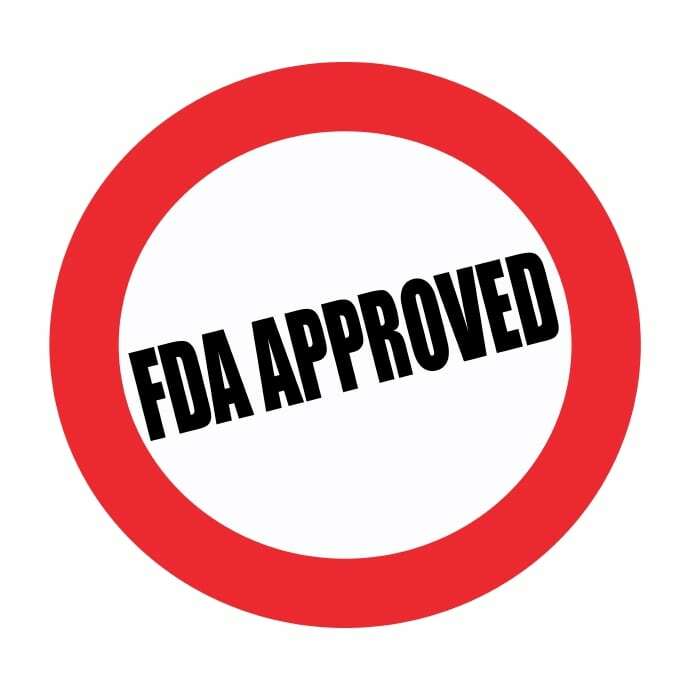 The FDA approved Opdivo for use in patients with previously treated non-small cell lung cancer and Dr. Wilkes’ comments related to its use in that clinical setting. 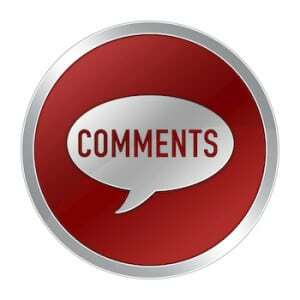 That post received a good deal of comment, both positive and negative. A screenshot from the Opdivo TV spot. BMS began its advertising efforts in late 2015 presumably in an effort to improve sales of what they hoped would be a blockbuster drug that is in direct competition with Merck’s Keytruda. Medical Marketing and Media, an industry trade magazine, ran a story on the promotion. I’m struck by the high-minded rhetoric of the spokesperson regarding the need to “educate” patients and promote “informed discussions” with physicians. This assumes that the patient’s oncologist has been living under a rock somewhere and has not heard of immunotherapy for cancer. Wouldn’t “A CHANCE TO LIVE LONGER” — if that’s truly what the drug offers — rate high on any physician’s list of discussion topics with patients? This recent Wall Street Journal story hints at another likely goal of BMS’s DTC campaign: to wrest market share and sales from competing immunotherapy drugs. And a graph from that story suggests that the effort so far has been rather effective. 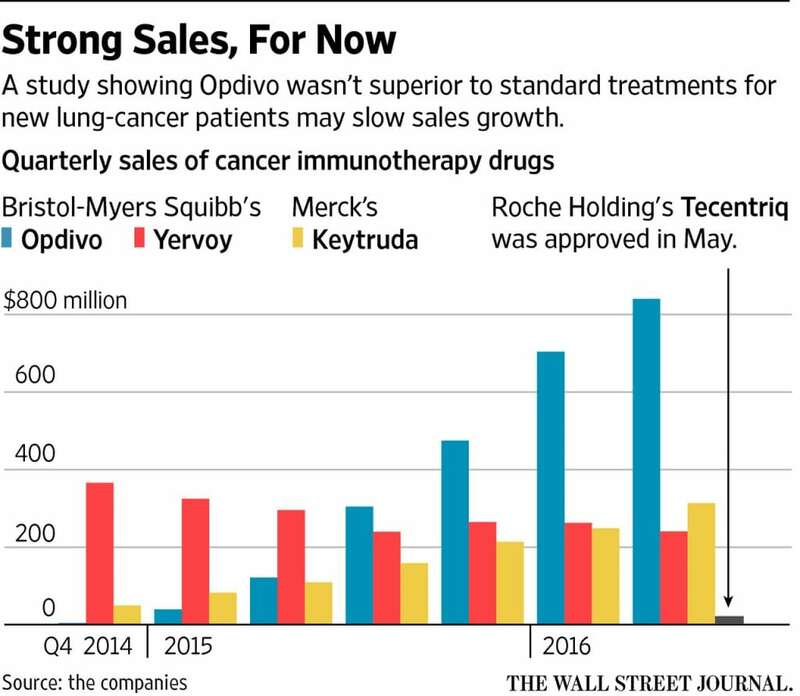 Opdivo’s sales continue (for now) to climb while the competing drugs have flat or much slower sales growth. It almost goes without saying that desperate cancer patients are more prone to believe cancer drug ads, especially those like Opdivo that make extraordinary claims in big bold uppercase letters. Patients will tune out to the side effects that appear toward the end of the commercial and this concerns some oncologists who claim that cancer drug advertising fosters misinterpretation of efficacy by patients. It also concerns the FDA, which is proposing to study such ads. At the moment, then, Opdivo does not appear to offer a significant advantage over chemotherapy in patients with early stage non-small cell lung cancer with the target immunology (PD-L1). As BMS noted in its news release, there is another ongoing trial that will explore “the potential of the combination of Opdivo plus Yervoy for PDL-1 positive patients, and Opdivo plus Yervoy, or Opdivo plus chemotherapy in PD-L1 negative patients.” We will have to await those results for additional information. This brings me back to those principled comments from the BMS spokesperson about “educating” and “informing” patients. 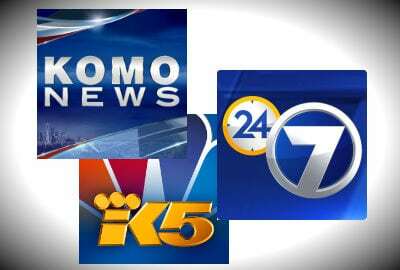 I am looking forward to the television ad that informs patients and their families about the failed trial so that they can have an “informed discussion” with their physicians about it. But, I won’t hold my breath waiting.